Architectural imbalance contained in meandering thoughts. 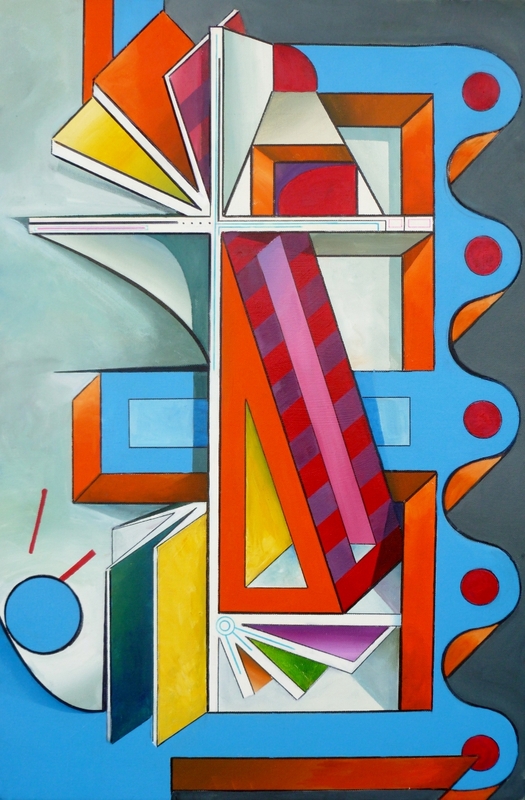 Various planes and geometric outcasts compete on different axis while providing outbursts of colour and variations in depth. 7.5" x 5"12.25" x 8"16.75" x 11"21.25" x 14"26" x 17"28.75" x 19"